Bring on that -20 degree Fahrenheit weather, because my hunting guys are ready! 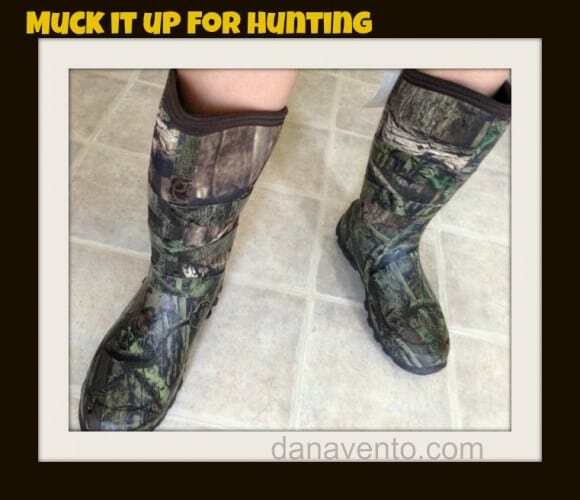 They are ready to Muck it up good, in rain, sleet, snow and even ice as their feet are protected and almost nothing matters more to a hunter, because without protected feet you are stopped dead in your tracks,lol! It’s time to bare those firearms, rock out that fashionable fire orange and camo clothing and rock the fashion runway of your local woods! This year’s best dressed hunter will be wearing boots from Muck as they allow them to Muck it up in all environments and still rock the warmth and comfort. Lavishly live hunting footwear out loud as we investigate the boots from top to bottom: getting ready to MUCK IT UP FOR HUNTING! What is a Muck Boot? Muck is the manufacturer of premium hunting footwear. There are actually 2 new styles that hunters all over the nation will be sporting as they hit the woods from the Pursuit Collection: the Pursuit Glory and the Pursuit FieldRunner. As you might already know last year, Muck introduced the Pursuit series. 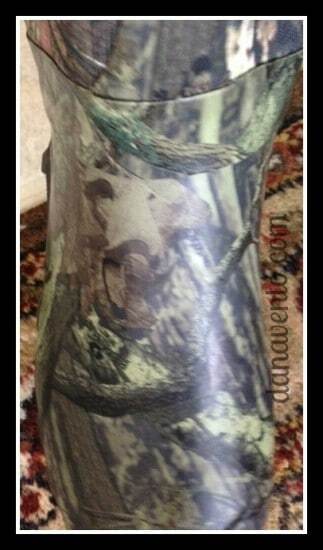 This is a premium collection of athletic and all terrain hunting boots. This fall, these two new styles will join the existing Pursuit Steal and Pursuit Supreme to round out the collection. 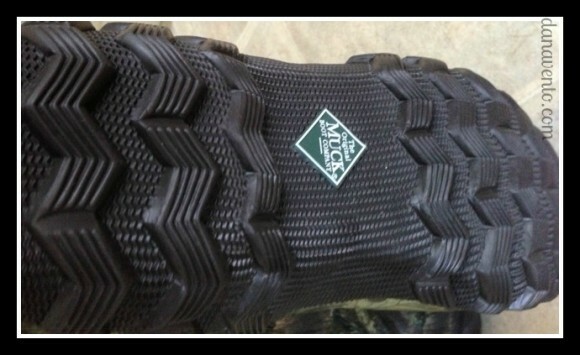 The soles of these boots offer an aggressive waffle outsole and really have a nice tread, take a look. The Fieldrunner grips to tree-stand grates but even better is that the footing works well in snow and mud, which with the variance of temperatures from fall to winter hunting is a nice feature to boast. The footing in snow is helpful when you are on the move, tracking or moving to make sure your ‘hunted’ was shot down. Your hunters don’t want to be seen, so the design on the boot is meant to be multi-seasonal so you blend in with the environment in the fall and winter. There is a protective Spandura exterior which hsa a forgiving 4-way stretch but it is also resistant to those lovely briars and thorns that are stumbled into as the focus is not on where they are walking into rather on the game. Inside this FieldRunner is a warm and toasty 5mm neoprene interior that is line with fleece. My guys have WIDE feet, but they simply ordered a 1/2 size up and there is ample room.The boot are tall boots and they do pull on over pants and well under hunting suits, so very adaptable clothing. Lavishly live hunting and time in the great outdoors out loud, with some great boots, that offer an aggressive outsole, flex points, fleece lining and all around comfort for those cold treks outside! Muck it up and you will love your day! Good luck hunting, hope you get your game!